The DrumLine Battle begins in San Antonio! The first-ever DrumLine Battle in the United States hits San Antonio, Texas today! The Crossmen will host the event as part of the Marching Music Extravaganza, Friday June 14, at the Blossom Athletic Center. The action kicks off at 7:30 p.m. DrumLine Battle is Drum Corps International's new and exciting competitive performance opportunity, which allows drum lines of any age, size and makeup to face off, each group putting together a 90-120 second performance in a confined "battleground" environment. With the Crossmen performing in exhibition, the main event will be a battle between the drum lines of DCI Open Class corps Genesis from Edinburg, Texas, and the Guardians, an up-and-coming drum and bugle corps operating out of San Marcos, Texas. In what is sure to be an action-packed event, the G-Unit (Genesis' battery percussion line) and the Guardians' battery will face off to be named the best drum line in San Antonio. Camera crews will be on hand at the event today, capturing the action to include as part of the 2013 "DCI Tour Premiere," which is coming to movie theaters nationwide on Monday, June 24. Learn more about the "Tour Premiere." 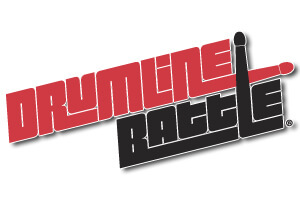 Another DrumLine Battle event will come to San Antonio on July 20, and others are planned for Dallas (6/16), Nashua N.H. (6/22), Boston 6/29), Denver (7/6), Opelika, Ala. (7/25), Murfreesboro, Tenn. (7/26), Huntsville, Ala. (7/27), Atlanta (7/28), Dublin, Ohio (7/30), Allentown, Pa. (8/3), and Indianapolis (8/10), among other cities throughout the summer. Stay posted on DrumLine Battle on Facebook and Twitter to learn and see more about today's event. 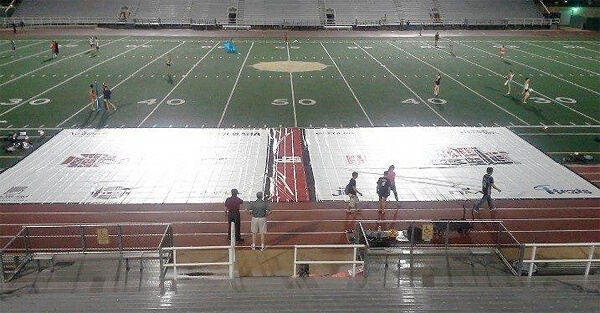 Crossmen prepare the Battle Ground for the first-ever DrumLine Battle event on June 14 in San Antonio.